There is a junction in the lifecycle of every product or service where its validity and usefulness is verified. Are we there with the M-Vac System? I believe so and here is why. Numerous crime labs, large and small, public and private, have validated it and currently use it successfully. Major universities have studied it and are studying it with positive results. Law enforcement agencies around the world have used the M-Vac System in a variety of ways and scenarios with success. Over the past seven years, there has been study after study performed, validation after validation conducted, performance check after performance check completed and case after case moved forward. The outcomes speak for themselves. For example, Boston University, a research and learning environment that is beyond reproach, concluded this about the M-Vac in an article published in the Journal of Forensic Identification: “The wet-vacuum collection technique is a potentially useful tool in forensic casework environments. Data indicate this technique may be most valuable for collection of low-level biological evidence…” Below is one of the graphs that Boston University presented at the NEAFS Conference in 2012. Major crime labs have also produced a significant amount of comparison and validation data, showing the M-Vac System collecting from 5 to 200X more DNA material than swabbing, taping and cutting, depending on the surface and scenario, but almost always producing a stronger and more stable profile. Richland County Crime Lab, in South Carolina, showed a 30X higher collection rate when comparing the M-Vac to swabbing touch/trace DNA from a brick. They have since had successes in real-world casework from their own cases and in helping nearby agencies with some of their more difficult cases. 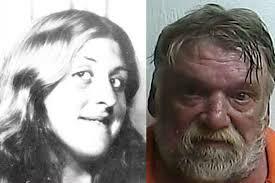 Salt Lake City PD recently solved a 39 year old cold case using the M-Vac System, collecting touch DNA from a halter top that the suspect had used to gag the victim, Sharon Schollmeyers. Undoubtedly that halter top had been swabbed, possibly multiple times, with the same result – no actionable results. It wasn’t until they used the M-Vac on the evidence that they were able to bring enough forces to bear to collect sufficient DNA material to produce a viable profile. Once the lab results came back the detectives were able to track down the suspect, Patrick McCabe, make contact with him and within a relatively short amount of time McCabe walked into a Florida police agency, turned himself in and confessed to the killing. A host of agencies, both large and small, from small city police agencies in rural Utah to huge agencies like Broward County Sheriff’s Department, have successfully used the M-Vac on multiple occasions to collect DNA material from difficult substrates. These scenarios range from touch DNA from a sea-salt covered boat to a 9mm pistol grip used in an armed robbery to clothing that was touched 20+ years ago. In pretty much every case a traditional method such as swabbing had been tried, and failed. It’s time to face the reality. No matter how sensitive the lab extraction, amplification, electrophoresis or DNA sequencing processes are, if sufficient DNA material is not collected from the evidence then lab equipment sensitivity doesn’t matter. And swabbing it again isn’t going to magically produce a better result the second or third time. At that point all that’s happening is wasting DNA material. The casework and studies suggest that if DNA is the question, and a traditional method has been tried without sufficient results, then the M-Vac System is the next step and probably should have been the first step. If there is DNA material there and the substrate is rough, spread over a large area or porous, the results show that the M-Vac is currently the best method of collecting it. All of the cases where contact is probable, but there is no stain visible, are cases where the M-Vac may be the key. Other key indicators for use are cold cases, or active cases that have stalled, with an inconclusive or partial profile in the case file. Studies and casework suggest using the M-Vac. 5-30x more DNA can make all the difference. The successes show that using the M-Vac on the appropriate evidence types when the crimes happen, both in the crime scene and in the evidence processing room, may help strengthen the case and may help reduce the number of cases stalling or going cold. The simple fact is that a number of cold and active cases have been solved by using the M-Vac. Why? It collected enough DNA from the evidence available to get a viable profile, often times after a traditional method such as swabbing had failed. Is the M-Vac the magic tool that will solve every case from here on out? Of course not. But it belongs in every investigator’s toolbag to be pulled out when appropriate. We had a conversation with a detective earlier this summer who had submitted two pieces of evidence to be M-Vac’ed, and neither one of them produced a usable profile. She was profoundly disappointed but she understood that it happens. Refusing to give up, she turned in another and got an actionable Y-STR profile. That is going to be the experience of many investigators who use the M-Vac, just as it is with every other DNA collection method. The M-Vac gets used where folks hope DNA was deposited but the other collection methods are unlikely to be effective or haven’t produced results. It also gets used when all hope is lost, but the investigator just doesn’t want to give up. Regardless of the scenario, the M-Vac has shown it belongs in the crime solving process. It’s proven. It works. Use it. Solve more crimes. For more information about the M-Vac System, please visit our website at http://www.m-vac.com/. By mvacjb2014 in Uncategorized on September 12, 2017 .